NEW VIDEO: Mike WiLL Made-It, Eearz, ScHoolboy Q & 2 Chainz "Kill 'Em With Success" | RESPECT. Mike WiLL Made-It continues to deliver visual from Creed II: The Album. 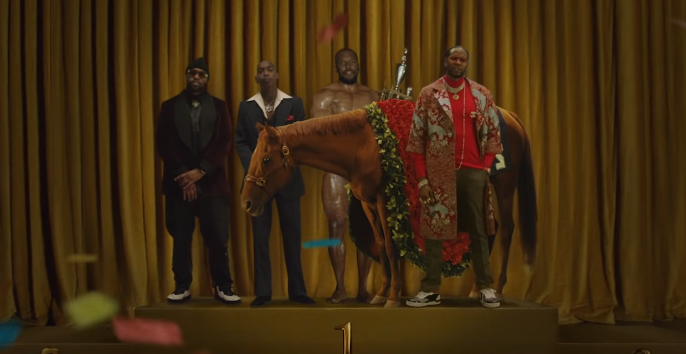 The latest is for “Kill ‘Em With Success,” which sees Mike, Eearz, ScHoolboy Q and 2 Chainz find humorous ways of spending/wasting money…ScHoolboy is also a bodybuilder in this clip, for some hilarious reason. Anyways, check it out below. 2 Chainz & Ariana Grande "Rule The World" in New Visual | RESPECT. ScHoolboy Q is Back with "Numb Numb Juice" | RESPECT. ScHoolboy Q Performs New Track on 'The Tonight Show' | RESPECT. ScHoolboy Q Delivers New Single "CHopstix" (Feat. Travis Scott) | RESPECT.